Network and fellowship of retailer members. Our membership has cumulatively thousands of years of retailing experiences to draw from. Exclusive access and discounts for networking events, trade shows and educational programs. 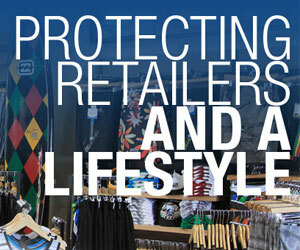 Board Retailers to offer a fleece and boardshort program, with more to come this year! Monthly newsletter and exclusive partner emails detailing the latest issues, products and services affecting the industry and independent retailers. Special offers and exclusive cost breaks on POS systems, credit card payment systems, care , POP and signage services, marketing and shipping resources, rental insurance, health insurance and more. Significantly-reduced, Members-only rates for Surf Summit, Industry Boot Camp, The Skateboarding Summit and Trade Show networking events. Gain insight and better forecast trends, Log in to our website to access to special research studies by partners Action Watch as well as some of our own BRA surveys.page. Our trade show partners often recognize BRA member retailers with special luncheons, dinners and networking events, in addition to VIP retailer access at their shows.